Often, I avoid writing book reviews on books that are already saturating the blogs, best seller lists and “must read” lists, as I rarely think I’ll have anything new to add to the litany of literary conversations, as these books tend to be deconstructed to the point of destruction. But, I’ve been compelled by one recent release to weigh in, mostly because it hits rather close to home. Hillary Clinton’s new memoir Hard Choices has been pulled apart, sentence by sentence, as her run for the highest office in America is imminent. Her allies have seen it as a justification of the choices to, at times, work with countries whose governments we oppose on many levels, as a defense of State’s role in the Benghazi attacks and their aftermath and as drawing a strong line in the sand against countries such as China and Syria. On the other hand, her detractors see the publication as nothing more than a chance for some free publicity leading up to the 2012 presidential elections, getting her “side of the story” out to the press and public through book signings and other events that they see as transparently working the electorate. Regardless of the politics on either side or the dizzying spins pundits of all walks have placed on the book, I think it holds its own as a glimpse inside the US Department of State and what goes on behind those historical handshakes, Secretary-ruling-the-world memes and viral photos from the White House’s Situation Room. Hard Choices lets the average American into the inner workings of our country’s diplomatic corps, from the consular officers who protect our nation’s borders by carefully screening visa applicants to the political officers who report, from on the ground, about changes in official policy as well as the vibe of the general population within their host country. Growing up in Idaho, the Foreign Service was just that- foreign. I had no idea what it was, and really, I probably couldn’t have even told you it existed. It never came up in any career day or job fair and wasn’t definitely not on my radar until my Peace Corps days. Having a book like Hard Choices top the best seller lists at least puts this small but important part of our national government in the spotlight for the average American citizen. I will endeavor to read it, as I know I should anyway, and it is obviously important to you. I would not have thought to undertake reading it from the viewpoint you suggested, but that made it sound more interesting. 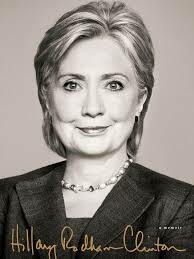 I actually like Hillary, but my reading taste does not usually lend itself to non-fiction.